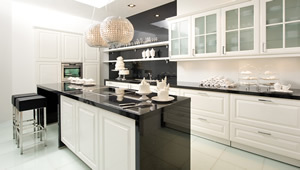 With over 25 years experience in the kitchen design and installation business Lifestyle Design + Build offer a focused service for Dulwich residents specialising in the supply & instillation of designer names such as Nolte and Hacker. Dulwich is a jewel in the South London crown. 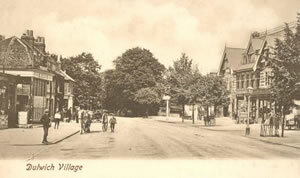 With most of the area either within the Dulwich Estate or in one of the overlapping conservation areas, inhabitants have a strong sense of the areas rich historic and cultural heritage. Whether your living in timber Georgian house, a Victorian or Edwardian terrace or some of the post war - 1960's developments, Lifestyle Design + Build can help you with the kitchen to complement your environment and way of life. Life in Dulwich is certainly special, whether your cycling around with your little basket stuffed full of fresh veg from the monthly Farmers Market, sausages from Willam Rose Butchers, fine foods from La Gastronomia or Romeo Jones or secret frozen dishes from one of the largest Sainsbury's in the country, getting it back to a modern open kitchen is the first part in creating that perfect meal for the family. And because Dulwich is characterised in parts by its semi-rural atmosphere, maybe your able to supplement it with fresh herbs, fruit or vegetables from the garden? Or maybe you still grow corn and grind it over at the village mill by the pond? 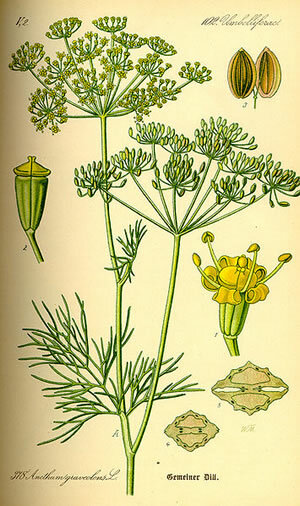 Of course the name of Dulwich comes from two old English words, Dill, a white flower, and wihs, meaning a damp meadow, giving a meaning of "the meadow where dill grows". Dills fernlike leaves are aromatic and are used to flavour many foods whilst its seed is used as a spice. 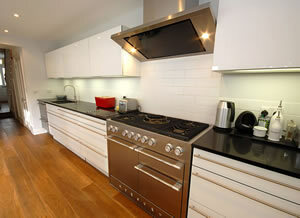 Whatever your culinary preferences, we can provide you with a high quality kitchen to meet your needs. We can work to your architects specifications or your interiors designers; as well as undertake full inhouse design on your behalf using our showroom based CAD system Compusoft 3D Kitchen Designer. Combined with our vast resource of fittings and appliance suppliers we can provide you with the complete service from start to finish. 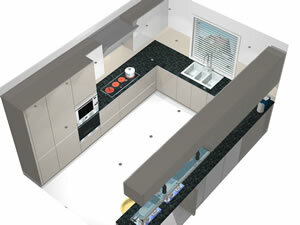 Our CAD system outputs working drawings for installation taking the design right to the fitters. There is no interpretation or loss of technical detail in this process meaning that installation will be exactly as specified in the showroom visualisation. This system is also ideal for allowing for design modifications if required. As a specialist kitchen installation company we can leverage the design portfolios of a variety of leading kitchen design brands such as Nolte and Hacker. A kitchen is always a place is creativity. 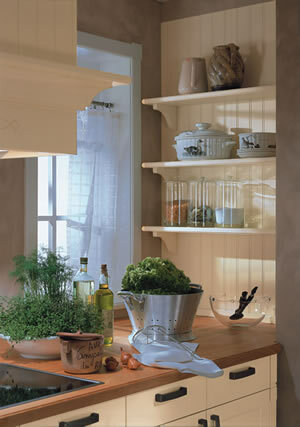 Hacker Kitchens offer classical, modern, design and country styles to suit all needs. The style below is the D Bristol Vanille Konsole. For an example of a recent kitchen installation in the Dulwich area, please see our case study on the Friern Road, photo below. Whilst installing a high quality kitchen offers immediate lifestyle benefits a new kitchen can also be seen as a capital investment in your home increasing its sale value. 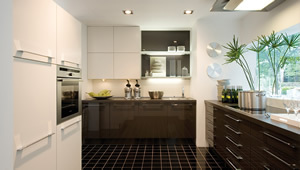 The general consensus is that the cost of a kitchen can be recouped by 80% at the sale of the house. Its also a well known fact that of all the rooms, the kitchen is the most likely to influence a prospective house buyers decision. Our experienced craftsmen have years of experience in the installation of kitchens, in particular across the Dulwich area. They combine precision assembly and fitting with speed and tidiness. Every aspect of the job is paid meticulous attention, all the way to the final polish and beyond to pick up any snags or issues. We offer some of the lowest prices in the area and are always happy to compete against other quotes that you might have. If you are looking for a new kitchen and feel like something exciting based from a range of proven and established design approaches feel free to call us or pop into our Streatham showroom where we can guide you through the process of design, materials selection, appliance selection and colours to help bring your dream kitchen into reality.